Thea Pope is a final-year Politics and International Relations student, at Royal Holloway, University of London. 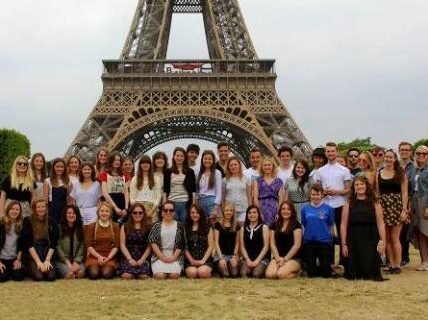 She shares her 8 vital lessons from leading a recent university trip to Paris. For two years now, I have been one half of the pair of group leaders for Royal Holloway Gospel Choir; a university society choir run completely by an elected committee of students. Every year, following our final exams at the end of the summer term, we go abroad for a week to perform 3 concerts for a new audience and to let our hair down on our very own student music tour. 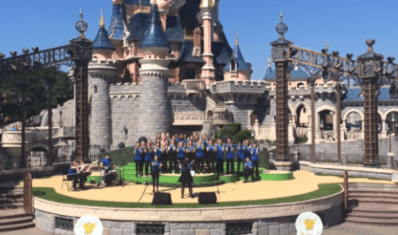 In 2015 we undertook perhaps our most ambitious tour yet to Paris, taking 40 people to perform at the Church of La Madeleine, Square Jean XXIII (behind Notre Dame), and Disneyland Paris. Our members range from the age of 18 to about the mid-20s, and come from all over the UK and the world. Being a group leader is an interesting challenge as I am leading my friends. This makes for a fantastic experience as the whole trip feels like one big holiday. However, it’s also a bit different from any other educational tour setup in a number of ways. Here are a few things I’ve learned! Any committee position is completely voluntary and by doing it alongside my degree and my job, there is a limited amount of time I can realistically dedicate to it. It would be frankly impossible to organise a university tour without a decent amount of assistance and so you have to trust that whatever is done by the educational tour company is done well and done right. Sounds pretty obvious, but we have had some disastrous experiences in the past: money gone missing; things booked without our knowledge; not answering any emails or phone calls, etc. This was originally how we found Travelbound, after one disaster too many. You’ve got to trust that when you get there, the tour company have done everything they said they would and everything is in place for things to run very smoothly. Paris was one of the most ambitious tours we’ve attempted so far with both the largest number of students and the biggest concert venues. La Madeleine was the longest concert we’ve ever done performing solo for an hour long with all the music being of a classical tone. Disneyland Paris was also a dream come true for many us and required a lot of organisation and audition information. All of this was excellently handled so when we turned up on the day, all we had to worry about was making music. Unlike an educational school tour, the choir pay for this mostly themselves. Like most things, with money already tight for students and when it’s money they’ve earned themselves, they’re somewhat more conscious about parting with it and making sure they’re getting value for money. Getting people to actually take the plunge and pay the money requires giving them as much information as humanly possible about what they’re paying for and making it as easy as possible to do. We have an online payment system set up so they can pay anywhere. People have been known to pay even while on a night out and backstage at performances where everyone was talking about the tour. We also give lots of different ‘payment plan’ options and split the cost into smaller increments so it doesn’t feel as significant a sum. The music tour has to sound amazing from the very start and actually run as well to encourage everyone to want to go every year. 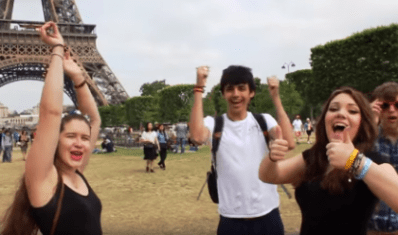 Going away with your friends is obviously a pull in itself and, with Paris being our chosen destination, it wasn’t hard to convince people of how amazing the tour would be. In the meantime, the most effective method of getting people to part with money seems to be to remind them about it until they pay me to shut me up. They’ll thank me later! I also think the stakes are higher than a school tour: students want more for less money and everything you do has to be as enjoyable as possible. You can’t make students do something just because it has educational value; there has to be a general consensus that this is something they really want to do. When you’ve got 40 people in a location and a concert to get to in the afternoon, you also can’t logistically allow them the complete freedom of the city. In Paris, Travelbound were great and put together a pack of ideas of where to take the choir outside of what was already scheduled – including the Eiffel Tower and Montmartre – so that in the limited time we had, we could show off the best of Paris for the choir to freely explore and still make it back to perform in time. The accommodation also has to be great. I was initially concerned about the accommodation in Paris as our budget was very limited, but Travelbound suggested the new Generator Hostel and it was absolutely perfect! With a roof terrace, plenty of lounge space, and generally a wonderful feel, full of young people – it really suited us. With a cocktail in hand on the roof terrace and watching the sun go down on our first evening, everyone was extremely content. 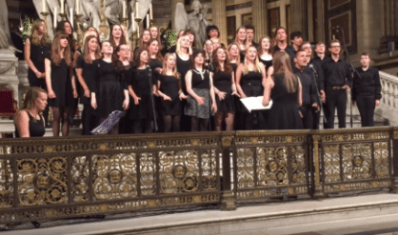 We’re a choir, we sing… a lot! It takes a certain kind of person to spend a week with a group of university students – not everyone can do it. The bus driver has to be okay with the fact that the people in charge are 21. The bus driver needs to be a good sport and play along with the fun of the trip. Most importantly, the bus driver must be really good at driving the bus. Most of the people on the coach can drive themselves and while nobody is going to claim to be an expert coach driver, they know what bad driving looks like. It’s perhaps not the kind of thing that seems to matter until you’ve had a bad experience. After several years of awful drivers, we struck gold with our driver in Paris – he added the extra sparkle that was needed. He accommodated endless singing of Disney songs (being our “test audience” for new songs) and dealt with giant balloons being shoved onto the bus. Moreover, he greeted all students with a smile, even welcoming us back onto the bus at Disneyland with the addition of some fetching Minnie Mouse ears! You may imagine that when you’re legally adults it may be better to have smaller, more private rooms with only 2 or 3 occupants. We’ve tried both options: one year we had the smaller rooms and then in 2015 we had rooms of between 4 and 6 people. It seems room size does matter. No matter how old you are, there are always a couple of people who some aren’t too keen to share with. Bigger rooms help diffuse that issue somewhat. People also get to bond more and have more fun in their rooms in their downtime. Plus bigger rooms produce a more communal holiday feeling. From the point of view of a group leader, it also makes life easier because there are fewer rooms to keep an eye on, making it much easier to gather everyone for breakfast and activities. Without fail, every single venue was surprised when my colleague and I went and introduced ourselves. They’re always expecting someone older and they nearly always have ‘Mrs’ and not ‘Miss’ on the paperwork. The Performance Coordinator at Disney addressed most of the conversation to the bus driver before being gently directed back to us and then triple-checking we were in fact in charge and our musical directors weren’t just pretending while the teachers were in the toilet. However, they soon get used to it when we prove that we do actually know what’s going on and start unpacking the instruments! 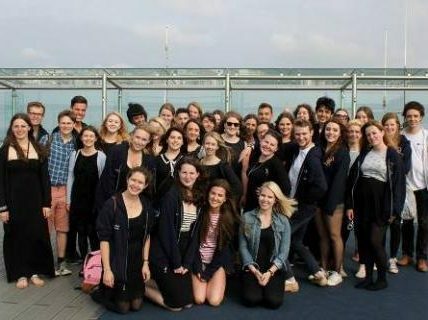 While I’m the group leader during the music tour, the rest of the choir are still my friends. Sometimes, it’s hard to strike the right balance between effectively getting everyone where they need to be and also not annoying those friends! Having a very public schedule so everyone knows where to be when helps a lot – as does having assigned responsibilities in advance for things like unpacking the instruments and looking after the first aid kit. While I’m there to lead the tour, I’ve parted with my money too and therefore I’m also there to be on holiday. After months of planning, it took me a day or two to relax and let the tour happen. Top tip: remind yourself that everyone there is an adult and can look after themselves. Also everything had been so well planned, I didn’t need to worry about anything. We had a fantastic time and I’m delighted to be doing it again this year – this time to the Netherlands. Watch this space! If you want to follow Royal Holloway Gospel Choir, see what they’re up to and catch up with the group to see how their tour goes, you can check out their YouTube channel. The Royal Holloway Gospel Choir can also be found on Facebook and Instagram. Thea Pope is a final-year Politics and International Relations student, at Royal Holloway, University of London. 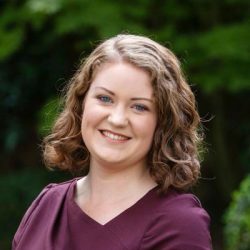 She is the elected group leader of Royal Holloway Gospel Choir: a non-auditioned society choir who perform a mixture of traditional soul, gospel, and pop music. She joined the choir in her first week of university and decided to run for election to the organising committee, which she has been on ever since. The choir rehearse twice a week around their studies and perform throughout the year culminating in their overseas concert tour every summer.